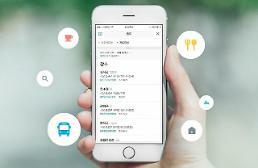 SEOUL -- The operator of Market Kurly, a grocery-delivering platform in South Korea, has secured about 100 billion won ($88.2 million) from investors including Sequoia Capital China, a venture capital firm, saying the money would be used to expand infrastructure and improve the quality of its service. Kurly said Thursday that the investment for its Series D round came from major foreign and domestic investors who had previously invested in Market Kurly. The new investment would be used for the improvement of its logistics system, management of its supply chain and expansion of manpower to strengthen its leading position in the dawn delivery market. Market Kurly has seen high growth since its service was launched in 2015, with sales reaching 157 billion won ($138 million) in 2018. Helped by aggressive marketing, the delivery platform has gained popularity by delivering groceries of good quality by 7 a.m.